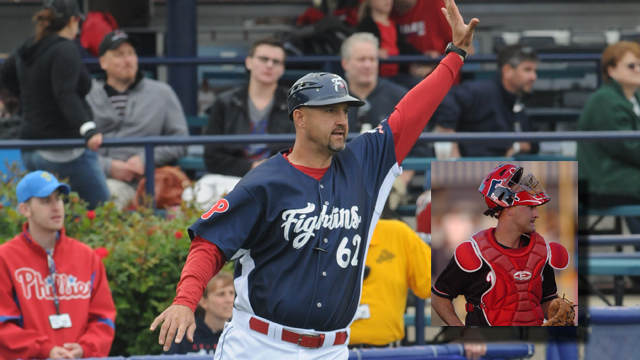 As the Reading Fightin Phils prepare for the 2014 season, manager Dusty Wathan is giving local youth catchers a chance to do the same for their respective baseball seasons at the Dusty Wathan Catching Clinic on Sunday, March 30th from 5:00 p.m. to 6:15 p.m. 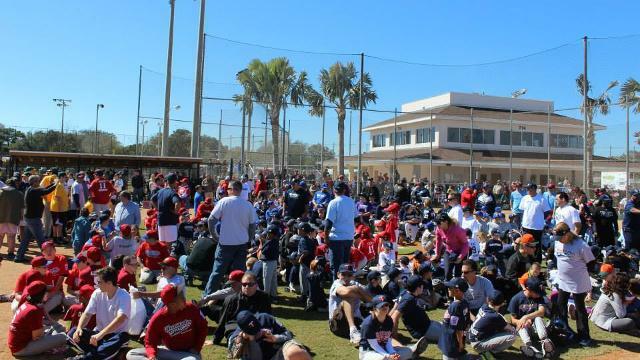 The clinic will provide players ages eight through college aged the opportunity to work on advanced catching skills with the Fightins skipper. Sign-up to Wathan’s coaching clinic cost $60 per person and $50 per person if you sign up three or more individuals. To reserve your spot in the clinic, sign up via Fightins.com or call 610-370-BALL. A former major league catcher, Wathan had a 14-year career playing in the Seattle Mariners, Florida Marlins, Milwaukee Brewers, Kansas City Royals, Cleveland Indians, and Philadelphia Phillies minor league systems. He made his major league debut in 2002 with the Royals, going 3-for-5 with an RBI in three games. Wathan is heading into his seventh season managing at the minor league level where he has a record of 138-146 in the past two seasons as manager of the Fightin Phils. Since he took over the reins in 2012, Wathan has seen 14 of his players, including Darin Ruf, Cody Asche, and Jonathan Pettibone, go on to make their debuts in the majors. He has also had a major hand in the development of standout Phillies catching prospects Cameron Rupp, Tommy Joseph, and Sebastian Valle.